Prime Eastside Location! Minutes to Everything! Come see this Wide Open Floor plan! A Gorgeous Renovation with blend of accent Exposed Brick Walls & Superior New Cornice and Trim Details! 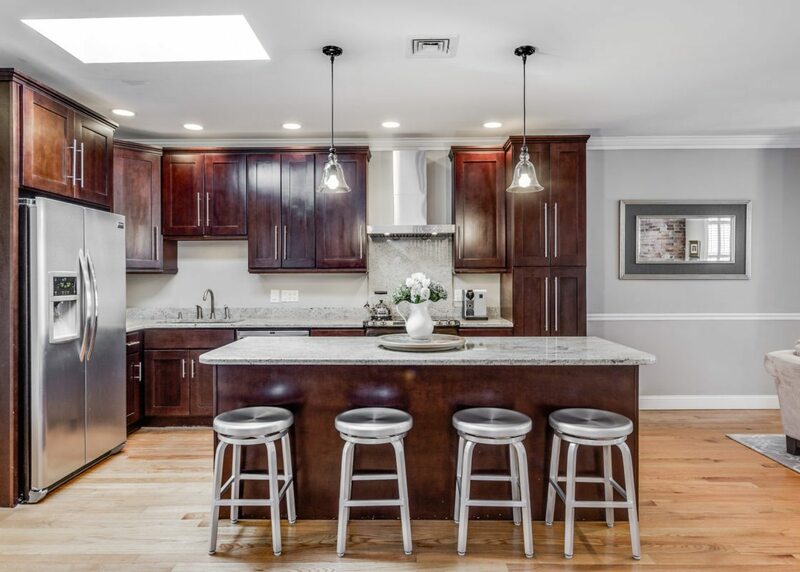 Dramatic Designer Kitchen with abundant Espresso Stained cabinetry, top end appliances & giant Center Island with a deep overhang breakfast bar with a slab of Cashmere White Granite Countertop! Large Livingroom with Custom Builtins & surround sound! Warm& Embracing Dining area with Exposed Brick! Blazing Sunshine! Gleaming Oak Floors! There are 2 Generous Bedrooms with great closet space! Lavish Bath with Soaking tub & oversized Carrara Marble Tiles! Direct staircase to your Enormous 200+SF Roofdeck makes it a true extension of your Living Space! Central Air, Laundry in Unit. This home is in Impeccable Condition! A True Value at this Price point! Your Wait is Over! Click Here to view the Virtual Tour and more Photos!